Say hello to Landon, the cutest little dimple-faced smile around. And, Landon is a twin! 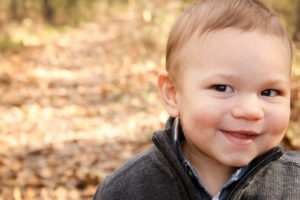 While in utero, Landon suffered a stroke and as a result he has hemiplegic cerebral palsy. As you can imagine, the driving force in his life is to keep up with his twin, but weakness on one side holds him back. An Amtryke Therapeutic Tricycle would help him to keep up with his twin brother and their friends. Landon’s parents are determined not to set limitations in him and Variety supports that completely. So, thanks to generous Variety donors, Landon is getting his tryke, because he – like all kids – should have a chance to Be Active, Be Social, and Belong! Donate today.